Why do I need to have regular termite assessments (or inspections)? Once termites discover a way into your home, they silently search for wood to begin feeding on. During their feeding, they are able to sense if the timber they are feeding on is about to collapse and will often stop feeding at this point and move onto new timbers in the home. This means that you may discover the damage until one day when you decide to move some furniture around! Termite alates (future termite kings and queens) may also fly towards the roof cavity and begin their nest up there. In this scenario, they may not be discovered until they descend from roof cavity and begin eating through the ceiling. Regular termite assessments/inspections by a qualified professional can help avoid these nasty termite damage surprises. The Australian Standard suggests termite inspection at least once annually. But in some instances where there is a conducive environment for termite infestation or previous evidence of termite infestation, we recommend termite assessments much more frequently. We will advise the recommended regularity of your inspections once we have completed our first inspection of your home. What are first indications of termite activity in the house? Apart from wood damage, the giveaway sign of termite activity are the little dirt tunnels that the termites build to enable them to move around. Termite workers and soldiers do not have eyes so, to avoid being seen by potential predators like ants, they’ll create tunnels made of dirt as well as carve tunnels through wood to provide safe passage for the colony. While this sounds like an obvious sign, generally these tunnels along with subsequent damage from feeding are hidden underneath the carpet, underneath the sink, behind the cupboard, etc. By the time there are obvious indication of termite activity in your home, the damage could be extensive. During their regular inspections termite management technicians will thoroughly investigate all the hidden nooks and crannies and can identify termite activity before there are obvious signs and action can be taken to prevent serious damage from occurring. Eliminating termites is not an easy process and the time it takes to eliminate termites will vary from case to case. A quality termite management technician will identify a number of mitigating factors prior to determining which kind of treatment he’s going to use and this will affect the time involved. These factors will include considerations like the termite species and size of the colony, quantity of leads (or tunnels) and structure, layout and material of your home. As an extremely rough estimate of the duration of an efficient termite colony eradication, we would suggest two weeks. If a termite baiting technique is applied, termites usually prefer the baits to the timber of your home, therefore any additional damage being caused to your home throughout this termite treatment period is reduced considerably. Obviously, the sooner a termite infestation is discovered, the less damage there will be and the less time it will take to deal with the problem. Are your termite management products and techniques Environmentally Responsible? While we use a variety of different techniques for termite treatment, based on our desire to provide our clients the very best solutions for their particular situation, we are also very conscious of our responsibility to minimise our impact on the local environment and wildlife. Our preferred and most widely used strategy for termite treatment is baiting termites utilising a non-toxic eco-friendly product known as Nemesis. Nemesis is a professional and effective product, which supplies a safe and non-invasive solution to termite treatment. We also proudly supply the DuPont Altriset eco-friendly termite control products. What makes Altriset a great form of environmental pest control is its ability to attack termites while leaving beneficial organisms like worms and bees unaffected, even if they come into direct contact, as well as being completely safe for your family, pets and local wildlife. It is so safe to use in fact, that there is no need to wear protective gear when applying it to your property. All our termite treatment options adhere to strict Australian Standards and, if chemical treatment is the only option, it is applied diligently and responsibly in order to minimise impact on beneficial organisms, pets and wildlife. Our technicians will thoroughly explain all of the options available to you in the event of our discovering termite activity in your home and outline the pro’s and con’s of each of our recommendations. What experience do you have and how do you ensure that you use the most effective methods available? Brad, the owner of the business, is a local homeowner and has performed successful termite eradications in tens of thousands of Sydney properties over his decade in the industry, including his own! Although we have years of knowledge and experience in the termite and pest control industry, we believe in continuous improvement. For that reason, our team or required to consistently take part in various new courses on termite control. New termite products and information are consistently being released as dedicated scientists improve the industry and make new discoveries. By actively researching for that latest technologies and products, we constantly make sure we provide the best available solutions for our clients. What Australian Standards do you comply with? We strictly comply with the Australian Standard AS 3660 series for the inspection and treatment of termites to ensure quality work for Australian homes. 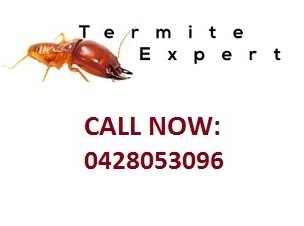 Win your battle against the Termite, Sydney!